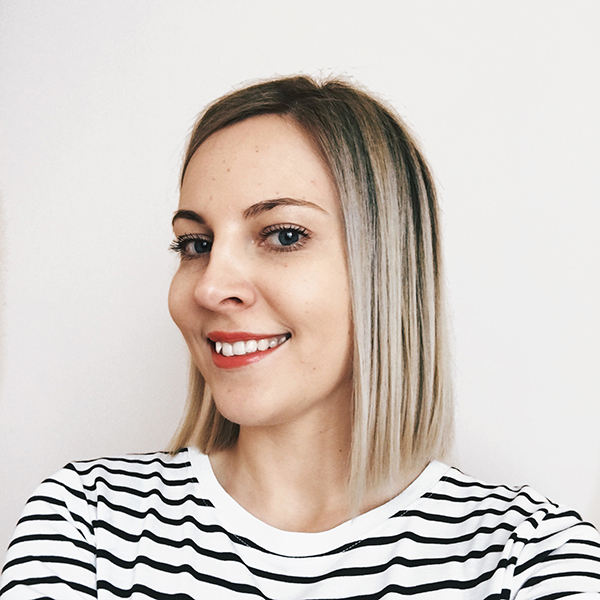 I’ve said this on the blog more times than I can count, but quality skincare is important. We all know it. And one of these products from FOM London just proved me all over again how much this is true. Which one? Read further, my lovely friend. 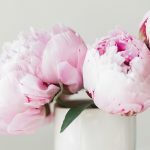 I have already mentioned this serum in my latest organic skincare routine post, where I described it as a lightweight serum, packed with active ingredients such as rose water, silk protein, hyaluronic acid, and fig extract. There still was about half of this generous 10ml sample left, so I continued using it and finished it a few days ago. However, my opinion hasn’t changed, I still like that the serum is easy to apply and has a pleasant texture and great ingredients, but regarding skin hydration, sadly, I didn’t see any significant improvements. Rosa Damascena (Rose) Water. Aqua (Water). Glycerine. Hydrolyzed Silk Protein. Sodium Hyaluronate. Niacinamide. Saccharide Isomerate. Faex (Yeast) Extract. Vaccinium Angustifolium (Blueberry) Extract. Fiscus Carica (Fig) Fruit Extract. Phenoxyethanol, Caprylyl Glycol. This is a blend of hydrating and skin soothing oils, including healing manketti oil, collagen and elastin-rich melon seed oil, and antioxidant-rich marula oil, grapefruit and pomegranate extracts. The scent is very herbal and reminds me of geranium a lot. My skin was in need for some extra TLC these past weeks since it started acting out after it got wind-burned in Iceland. I’ve been using Weleda Skin Food and my night-time serums topically, and it got slightly better, but somehow didn’t heal completely. I then added this weightless skin repairing facial oil to my daily routine, and to my joy, it started to improve further. I use it religiously every morning on top of my day cream and every evening together with other night-time serums. Though the skin is still not completely healed, it’s looking so much better, and I noticed that the Complex keeps my makeup from flaking or looking cakey. Highly recommended if your skin is in need for some extra nourishing and hydrating treatment! Persea Gratissima (Avocado) Oil. Prunus Dulcis (Almond) Oil. Vitis Vinifera (Grapeseed) Oil. Daucus Carota Sativa (Carrot) Seed Oil. Camellia Sinensis (Camellia) Oil. Rosa Canina (Rosehip) Oil. Sclerocarya Birrea (Marula) Oil. Citrullus Vulgaris (Melon ) Seed Oil. Citrus Paradisi (Grapefruit) Seed Oil. Schinziophyton Rautanenii (Manketti) Oil. Punica Granatum Linn (Pomegranate) Seed Oil. Tocopherol. Hippophae Rhamnoides (Seabuckthorn) Oil. Pelargonium Graveolens (Geranium) Flower Oil. *Signature Essential Oil Complex *(Naturally Occurring In Essential Oils). Linalool. Citral. Geraniol. Limonene. Citronellol. 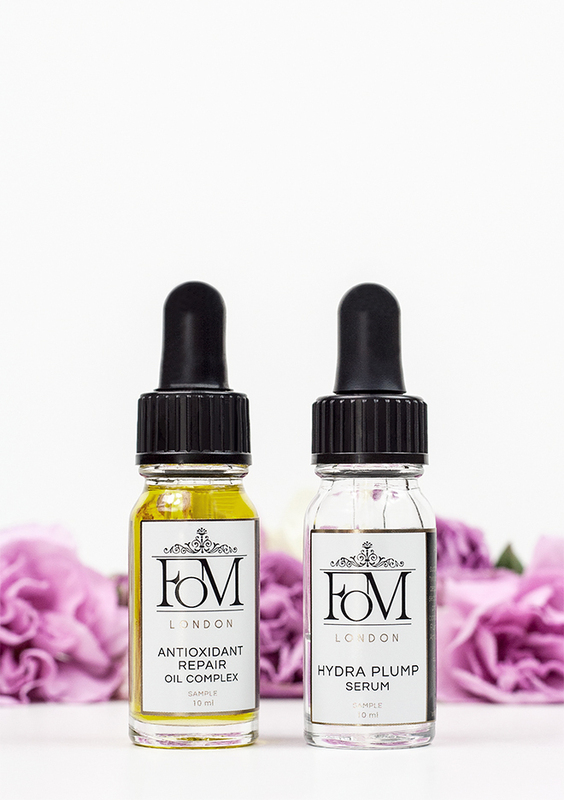 All FOM London skincare (including both of these products mentioned in the post) is available at LoveLula with free worldwide delivery. 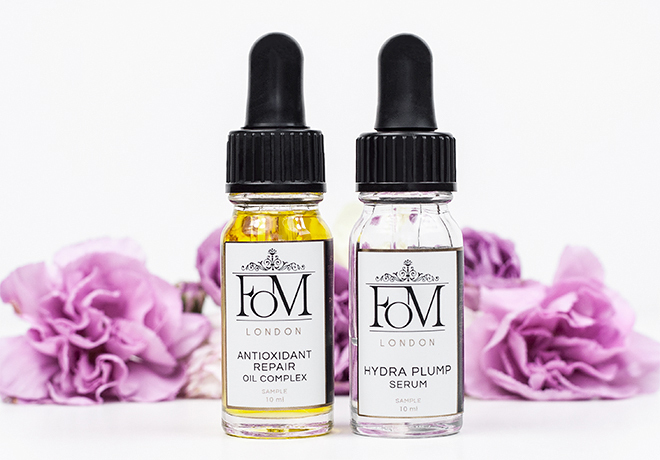 Have you tried these skincare products from FOM London? What’s your go-to serum for skin hydration? I die for any product with Hyaluronic acid. 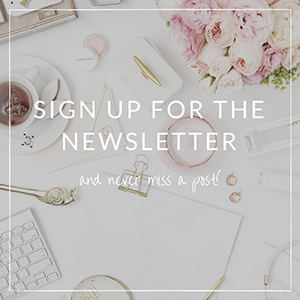 Love your post. I currently use Caudalie Vinosource, but your reviews have intrigued me – I might have to switch! Thanks for the post!